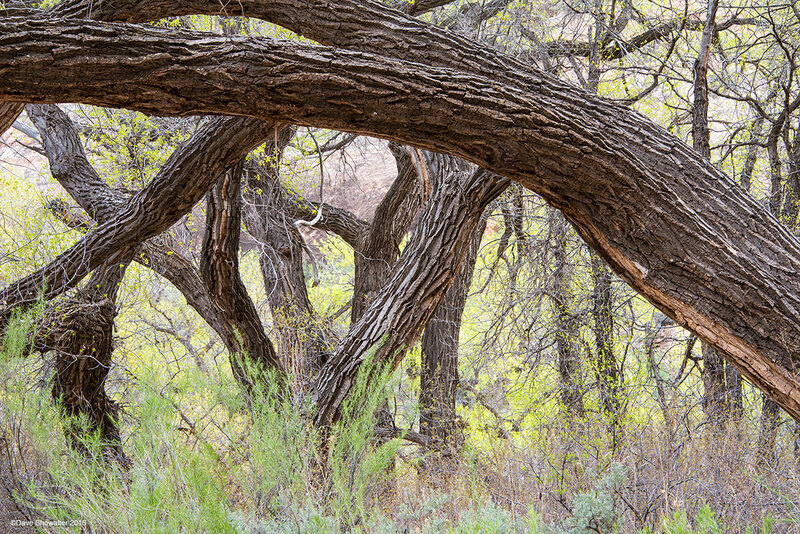 In Grand Gulch, cottonwood gallery forests seem almost as ancient as the eroded stone, petroglyphs, and stone dwelling left by ancient civilizations, the Anasazi. Lining creeks along the canyon bottoms, this area has the most impressive cottonwoods, for density and old growth I've seen. Photo © copyright by Dave Showalter.